NEW YORK, New York — Building on its steadfast commitment to providing the best customer support in the industry, HARMAN’s Studer is introducing Vista Remote Access for its Vista line of digital mixing consoles. Vista Remote Access allows Vista owners to access and manage their console from anywhere in the world at any time, all on a secure network. The Remote Access operation is simple to set up and utilizes a closed network for maximum system security. Vista owners simply dedicate a PC or laptop as the Remote Access interface, which hosts the secure network connection. The computer hosts a third-party Remote Access application and the Studer Virtual Network Connection (VNC). 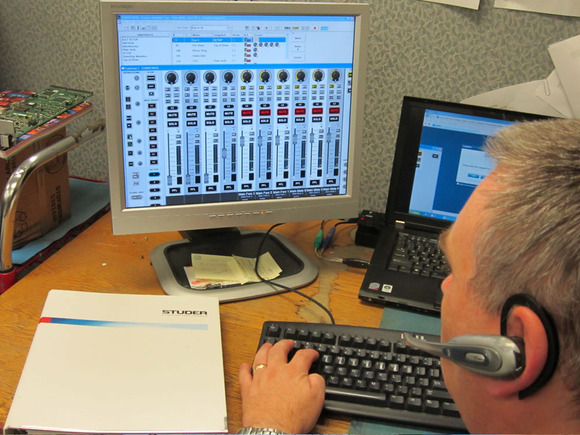 At Studer, a technician uses the VNC connection as the secure portal to access the owner’s Vista system, giving them monitoring and control capabilities from their location. Remote Access is available for any Studer Vista 5, Vista 5 SR, Vista 8, Vista 9, running V4.2.00 software or above. The latest software is available as a free upgrade. Interested Vista customers can contact their local Studer support center. The Remote Access package is included in all Extended Warranties purchased from Studer USA or a Studer Sales representative can add it to the customer’s system configuration at time of purchase.